PRWeek's Top 150 PR Consultancies, the annual ranking of the UK’s PR agencies, is now open for entries. 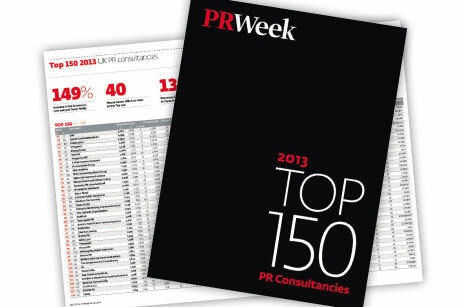 The Top 150 is the industry's definitive guide to the performance of UK PR firms and their fee income. Agencies will need to enter via an online form and post a copy of the form signed by their finance director and auditor or accountant. All entries will checked by the PRCA and accountancy firm Kingston Smith W1 to ensure consistency. The information will also be used to compile a range of league tables to be published later in the year, including the main Top 150 table and sector tables such as consumer, healthcare, tech and public sector. Agencies must submit their figures by close of business on Wednesday 9 April. Any queries about the process should be sent to PRWeekFeatures@haymarket.com.